✔ Expiry Date- 2 Year from the Date of Activation. Self-paced study: Study at your own pace and convenience. Speed-up or slow-down based on your level of preparation. Visual approach: Rich visuals and 2D/3D animations are used to explain complex concepts. Flexible Medium: Facility to stop, rewind and play the video to understand a key concept. Higher retention: The video stimulates and engages the user by creating interest which is maintained for a longer period of time. 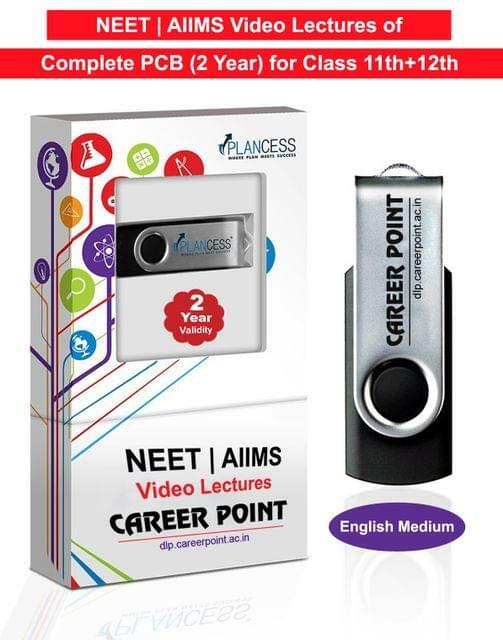 For Video Content in Pen-Drive, Refer to Main Career Point Site.